Can you believe it? I made goat cookies 2 weeks in a row. Of all things....goats!! And you know what's even funnier? I have to make them again for another order on March 30th! Anyone else need goats this month? Anyone? Along with these goats went some cows, pigs, sheep, horses, and roosters. A whole farm! I think the sheep were my favorite. These cookies were for a group of veterinary students who were going to visit a farm for a week for training. I have nothing but the MOST respect for veterinarians because I am such an animal lover. But I could never EVER do their job. Seeing sick animals just makes me cry uncontrollably. A. Rob feeds her pretzels every night. B. Mia feeds her everything. ....maybe I've given Layla a cookie once or twice. I guess I'm part of the problem, too. Anyway, Layla is quite an active dog in the summertime when we go to the lake so I'm quite sure that she'll be dropping some of the weight in just a few short weeks. And other than the weight gain we have a very healthy pet....and for that I am so grateful. 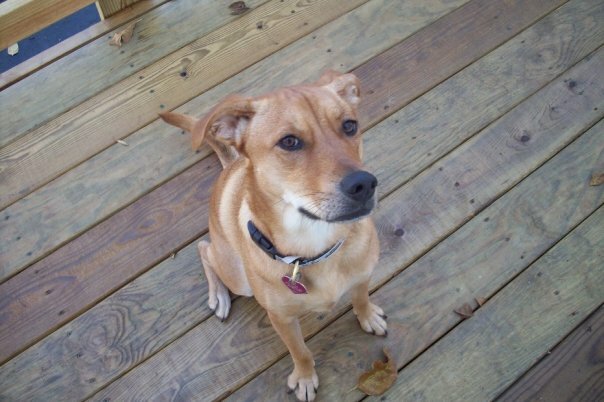 As for the $180 vet bill? Not so grateful. 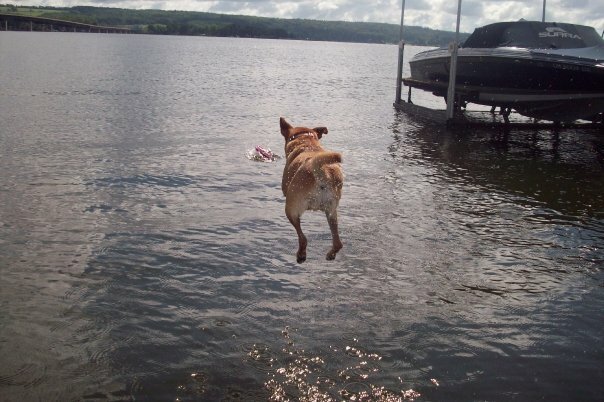 Here's Layla jumping off of the dock into the lake! I think she could be in competitions! instead of swimming all the way back to shore she learned how to climb a ladder all by herself. 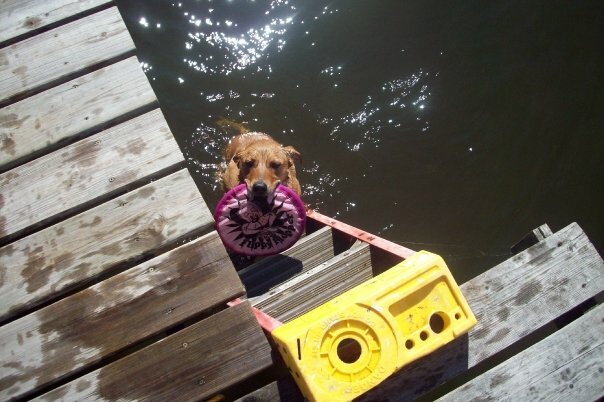 Rescue dogs are smart, too!